Paris & San Diego, 20th July, 2015: Akuo Energy, the leading French independent renewable energy power producer, today announces that it has completed the entire financing of its Florida II 50 MW wind farm project in Uruguay in record time, with KfW IPEX-Bank and EKF for the senior debt and Eurus as its partner in the equity for the project. Florida II will be the third asset to be built and operated by Akuo Energy in Uruguay and its second partnering with Eurus on the equity and KfWIPEX-Bank and EKF on the debt. Florida II is a 50 MW wind farm that will benefit, just like its two predecessors Florida I (50 MW) and Minas (42 MW), from exceptional wind conditions. With an expected capacity factor of over 42%, the clean, sustainable, domestically produced power from Florida II will help power the equivalent of 30,000 Uruguayan households. Florida II is the third asset for which Akuo Energy has completed the development in Uruguay, out of a current portfolio of projects under development of around 250 MW. This project is the natural outgrowth of the experience and relationships forged in the bringing on line of Akuo Energy’s 92 MW of wind farm capacity which is now in full operations. The electricity generated by Florida II will be directly purchased by UTE, Uruguay’s state-owned grid operator, within the framework of a 20-year dollar-denominated and inflation-indexed power purchase contract. Florida II will be equipped with 15 Vestas V117 turbines with a nominal capacity of 3.3 MW each. A shareholder in Minas since September 2013, Eurus Energy America, a Toyota Tsusho subsidiary dedicated to renewable energy projects, has acquired shares and provided shareholder loans via an investment of over USD 26.0 million in support of the Florida II project. The Eurus Energy Holdings group is the leading renewable energy company in Japan and through its group companies has ownership in more than 76 wind and solar projects in 9 countries worldwide. Eurus, a pioneer in the wind business for more than 25 years, has expanded its global renewable footprint from its first projects brought on line in California in 1987 to over 2,500 MW to date in 2015. Building on the success of the non-recourse financing of Minas finalized in August 2013, Akuo Energy, Eurus, KfW IPEX-Bank and EKF are renewing their partnership in Uruguay. KfW IPEX-Bank is thus providing all of the project’s construction and long-term financing facilities totaling USD 78.5 million. As was the case for Minas, this long-term loan is partly covered by a guarantee from Denmark’s Export Credit Agency EKF (Eksport Kredit Fonden). 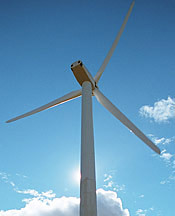 Eurus Energy America is the wholly-owned subsidiary of Tokyo-based Eurus Energy Holdings (www.eurusenergy.com) and is responsible for renewable energy investment in the Americas, now comprising more than 770 megawatts in wind and solar power generation. Eurus Energy Holdings, owned by Toyota Tsusho Corporation and Tokyo Electric Power Company, is a global developer, owner and operator of renewable energy facilities, including both wind and solar, with more than 2,300 megawatts worldwide. Eurus Energy America, headquartered in San Diego, California, has been active in the United States for over twenty five years, beginning operations in California in 1987.